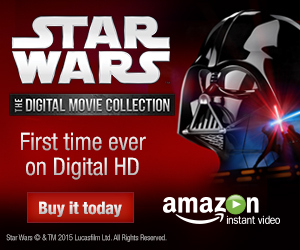 Continuing Flash Week at Collected Editions! Undoubtedly one of the prices of a successful run for a comics writer is that your fan base expects you do to the same every time. Such must certainly be the case for Mark Waid; his Flash: Wild Wests is nothing like The Return of Barry Allen, nor should it be, even though I might have been hoping so. Wild Wests is a fair entry into the genre of superhero family stories, if there is such a thing; but unfortunately, it doesn't really distinguish itself as a Flash story nor rise much above standard superheroics. Without a doubt, the very best thing about Waid's new foray into Flash is Wally West's children Jai and Iris. Waid ages the twins, but wisely not too old, such that they're rare adorable preteens in a DC Universe mostly populated with smarmy Damian Waynes. That Iris notes she's special because her parents say so, or Jai delights in his mother wearing a funny hat, is just plain cute, and Waid does well mining a "cute" vein that DC doesn't much else see outside Tiny Titans. Even the kids' powers are cute -- Jai bulks up to a tiny muscleman, but has to take a nap after he does so; Iris teases her brother by vibrating through him to steal his breakfast. Under the cuteness, however, Waid addresses a problem to which many parents can likely, unfortunately, relate: how to let a sick, possibly terminal kid still have a childhood? Wally and Linda (Park) West are exactly the parents that long-time Flash readers would expect -- cool, funny, understanding, and up-for-anything, but with a significant undercurrent of constant worry about their children, who could rapidly age, even to the point of death, at any moment. Waid does well to let Wally receive some criticism from the Justice League for putting his children in harm's way (not unlike the parents of recently-stranded sixteen-year-old sailor Abby Sunderland). Wally decides in full, after a heart-rending talk with Jai, to let his children face danger if that's what they want; it's a decision that seems obvious on the pages of a comic book, but has proved more controversial in real life, and I appreciated Waid approaching the issue. The character moments, however, don't make up for a rather lackluster plot involving a very standard alien invasion. The aliens are bad guys all along and end the story as bad guys; as such, there's no nuance to the story, short of the children, beyond the Flash running around and punching things. To make the unfair comparison, Waid's previous Flash stories were so full of Speed Force mythology and cool speed tricks; here, Wally's speed is mostly a weakness in that the aliens make him dehydrated (of all things) faster, and not much of a boon. Daniel Acuna's art in the first chapters has a fluidity that shows off both the West kids' powers and the aliens well, but later Freddie Williams' pages suffer from lack of detail (no one has eyes, for instance) and awkward poses that keep the story's climax from popping. In addition, I have to pick at a production level difficulty, too. When these Flash issues came out, they had a backup story about various Flashes visiting the planet Savoth; DC collects those backup stories all together at the end of the book. Only thing is, something that happens in that story is vitally important to understanding the main story's resolution, but reading this book in order, the main story's resolution is unintelligible (out of nowhere, they're on a friendly alien planet) and lacks much of its intended weight. Little of that is Mark Waid's fault, but ultimately this story doesn't have the gusto of a Flash comeback; I really wonder if the run collected in Flash: The Wild Wests was ever meant to be ongoing, or if it was instead a miniseries-posing-as-series (as, if you believe DC, Flash: Fastest Man Alive was supposed to be). I would read a West family miniseries by Waid, no doubt, but for the content of the main Flash title, this isn't quite it. Coming tomorrow, the main event ... the Collected Editions review of Flash: Rebirth. Be here! I would've bought this in a flash (pun intended) if I hadn't read my friend's issues when they first came out. Waid's return to this title sounded like just the ticket after the year of Bart. But clearly on this occasion you can't go home again, particularly when home has been drastically editorially renovated beyond all recognition. I've nearly bought this several times, but the sheer fact is it is not hardcover worthy and the @&@#% thing won't come out in trade paperback like a normal DC book. I will probably buy it one day, but I'll resent having to. Basically, I think they collected this too quick; if there was evidence this wasn't going to be the new Flash direction, maybe it would have come out in paperback instead. I'll be real surprised the day we see a paperback version. Cute story, if you can get it on the cheap. I got tired of waiting for the paperback, but instead of buying the hardcover I tracked down the single issues (I also found the next story in singles - "Fast Money" - which hasn't been collected, and probably never will be). Because of this, I was able to read the backup stories "in order"; but I can certainly see how the last chapter of the main story wouldn't make sense without reading the first 3 parts of the backup first. I didn't enjoy this story all that much; I'm glad I didn't spring for the hardcover. I've been reading a lot of Mark Waid lately (in the last few months I've read his first 3 Flash volumes, plus the first Impulse trade, and even Irredeemable) and this story definitely wasn't up-to-par with his previous Flash work. 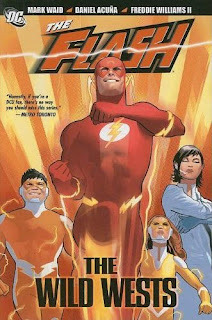 I have to admit the idea of the Flash twins just isn't appealing to me; when I got back into comics 2 years ago I remember seeing this series in my local comic store and not being interested in the least of reading about Wally and his two kids. I ended up buying Wild Wests (and Fast Money) because I got a good deal on them and I was interested in finding out what happened to Wally between his disappearance in Infinite Crisis and his return in JLA. Wally's always been my favourite Flash (he was the first Flash I was introduced to, after all) but maybe it was smart of DC to bring back Barry Allen. I'll make that decision after reading Rebirth. Regarding the Infinite Crisis disappearance; I wonder, is it possible that Wally's time spent in that "other place" ("in" the speed force was it?) with Bart, Barry, Max, Superboy Prime, took place PRIOR to him showing up in front of Linda and then disappearing to Savoth? I mean, when reading Infinite Crisis (in trade), it seemed like it wasn't very long in between the Flashes running SB Prime off and Bart returning to warn everyone that Prime escaped. Maybe Wally reached out from that other place to say good-bye to Linda, and then the presence of the Savoth "key" whisked Wally and family off to that planet instead? Just a theory. Again, I haven't read Rebirth yet so I don't know if they touched upon it there (I kind of doubt it). HOWEVER, all that being said...if Wally was able to return to Earth at any point he wanted, all on his own...what was the deal with the Legion doing the whole Lightning Saga thing over in the pages of JLA to get Wally and family back? That made it seem like they "rescued" them from where ever they had been; but in Wild Wests, Wally goes back and forth to Savoth with no problems. I wasn't a big fan of this story; I recently read the first 4 Waid Flash trades from the mid-90's and while there were times it sounded like the same writer, the story itself just wasn't up to the same level. Also, I'm not a big fan of Wally with super-powered kids; I remember seeing these issues at the comic store when they came out and not being interested in the least bit. I only recently picked these up as back-issues (I was tired of waiting for the paperback to come out - I don't think it ever will) to get more info on what happened to Wally post-Infinite Crisis (after reading JLA: Lightning Saga where he returned). Regarding that, I have a theory: is it possible that Wally was with Bart/Barry/Max/SB Prime in that "other place" first, then at some point made an effort to "say good-bye" to Linda, and that was when the key was triggered and they ended up on the alien planet? That could explain how he was able to be in both places. I haven't read Flash: Rebirth yet; I'm assuming they didn't address this issue in that story? However, one thing that I don't understand...they showed here that Wally was able to get back from Saroth ON HIS OWN to Earth (he even did it here after destroying the key that leads him there). So why did the Legion of Super-Heroes have to go through all that stuff in the Lightning Saga to bring Wally and family back to earth? Maybe Wally's events with Superboy-Prime took place before Savoth, and that's as good an explanation as any, but I think it's pretty clear in Flash: Fastest Man Alive that he was in that other dimension _with Barry_, which is pretty hard to reconcile with everyone's surprise over Barry's return in Rebirth. Rebirth actually does touch on Barry's appearance in Infinite Crisis, but it in no way irons out the fine details. Personally I don't think there will ever be a clear explanation for the Infinite Crisis Flash stuff. I think it was meant as a cool moment but no one got their ducks in a row about what it meant, and to me that cheapens it -- to "pre-resurrect" Barry in Infinite Crisis before Final Crisis with no explanation steals a bit of the thunder from Barry's *actual* resurrection. Sorry about the double post; I received a server error after the first one, and I went back to the page and it wasn't there, so I wrote up a second one! I was thinking recently while reading Waid's old Flash stories...it's amazing how DC kept reminding their readers about Barry Allen for the TWENTY-FIVE YEARS he was gone. I started reading comics in the late 80's, with Wally as the Flash, and yet I learned about who Barry Allen (then dead a couple of years) was. In the 90's, Waid did "The Return of Barry Allen"; in the 2000's, Geoff Johns did "The Secret of Barry Allen." You also had things like JLA: Year One and The Brave and the Bold (the late 90's mini-series, not the current series). Plus he was mentioned ALL THE TIME by Wally. I don't think if DC (through the Flash's writers) had done that, that they'd be in the position to bring Barry Allen back. One of my top favorite comic book moments is when that lightning bolt comes down in Return of Barry Allen -- given that the story promised Barry's return, and we hadn't (to my knowledge) seen him before then, that scene gave me chills. Since then, I think Barry's returns were a bit overdone. Waid did it once in Chain Lightning, but then Johns did it twice in Blitz and Rogue War -- yes, Barry is time-traveling, but at the point in which he's up and walking around, he's not quite dead any more. And then there's Infinite Crisis, which to me established Barry as alive (in the Speed Force) and not dead. So yeah, I've enjoyed the Barry flashbacks too -- mainly JLA: Year One and Brave and the Bold, as you mentioned -- but at a certain point in Johns' run it just seemed inevitable Barry would be back someday; he was kind of already *back* as it was. I remember that scene in Rogue War...due to time travel, there were 2 Wallys, 2 Zooms, plus Barry and Professor Zoom, for a total of 3 Flashes and 3 Reverse Flashes! Madness! ComicBookResources has a brief review of the first 3 issues of the new Barry Allen Flash series...they called it "delightful." Looking foward to the trade!